Orange. We do not usually use orange on walls, but did you know that orange can be great for kids because this warm and youthful color actually encourages independence, confidence, and extroversion? It is considered a social color, which may inspire your kids to interact and communicate even more. Red. Red is a known energizing color that stimulates the mind, as well as increase the heart rate. But, according to some researches, too much red may cause a child to act aggressively and encourages inability to focus. Red can be a great accent piece to any child’s room, but it is not advisable to use in the room of the child with the tendency to become hyperactive or restless. Green. 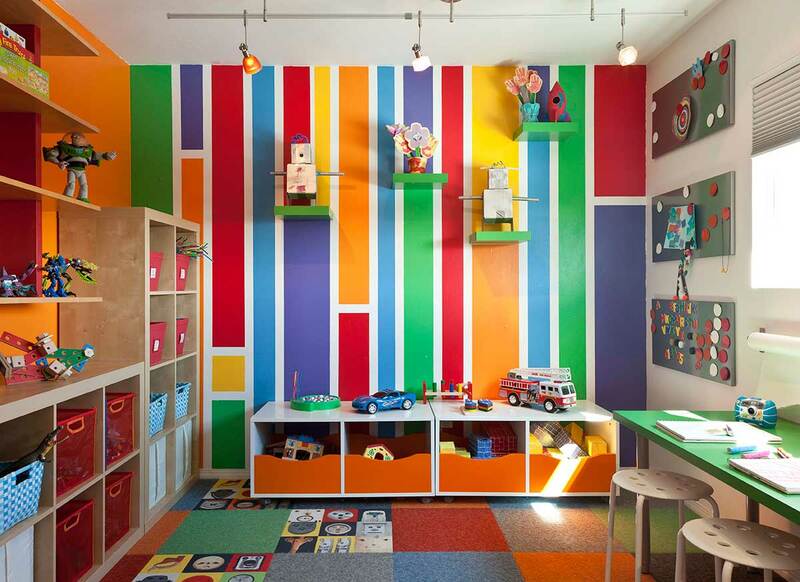 If you want a calming, soothing color for your child’s room, try green. Not only that it gives a calming effect, green is also said to enhance a child’s reading capacity and comprehension. Great for anxious adults, too. Yellow. Yellow promotes cheerfulness and happiness, and can either boost concentration and increase memory, depending on the shade. Blue. To mask the effects of the color red, here comes blue. Blue is another ideal color for a child’s room, because like green, it can provide calming and soothing effects. It also helps minimize the feeling of anxiety and decrease aggressiveness. Purple. The color of wisdom, creativity, passion, and spirituality, purple can also promote compassion and sensitivity in children. Pink. Pink is usually linked to a girl’s room, but can provide a calming effect to both sexes. While it may look cute, avoid using too much pink in your child’s room, since they say that pink is a color which you can quickly grow out.